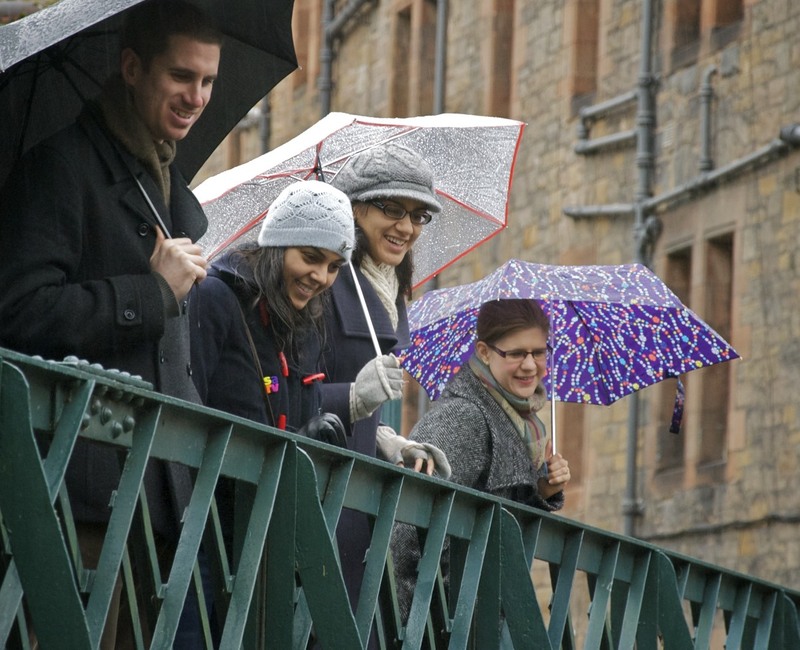 This weekend has been fab due to the arrival in Edinburgh of Emily, Joe, Sarv, Laura and Ed (noting that Sanj, James and I were already here). We’ve packed a fair bit in – thai food, plenty of wine, a bit of singing and dancing on the wii, lot of steps etc etc. 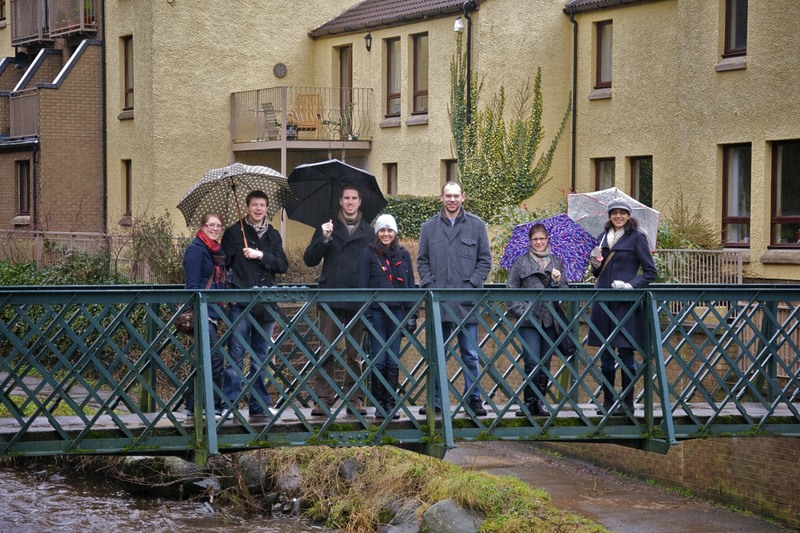 This morning we embarked on a slightly damp walk along the Water of Leith. 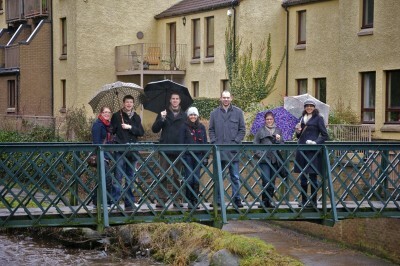 I got a few nice snaps while the gang stopped to view their surroundings on the bridge at Dean Village. Thanks folks for coming to see us!